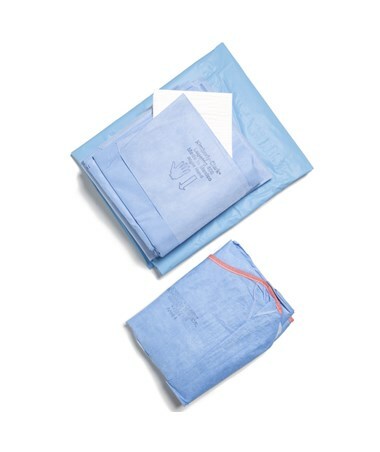 The Cystoscopy Pack I is a sterile drape that protects from any contamination during the time of surgery. The drape covers the area of operation and prevents liquid or blood from leaking onto the patient. The 86611 pack is made from fabric that is resistant to tearing, strikethrough and abrasion. Fabric reinforcement controls fluid run-off and low lint generation reduces the risk of airborne bacterial transmission. The pack offers a convenient tube and line management system. It is fast and easy to set up in the OR and is a onetime use product. 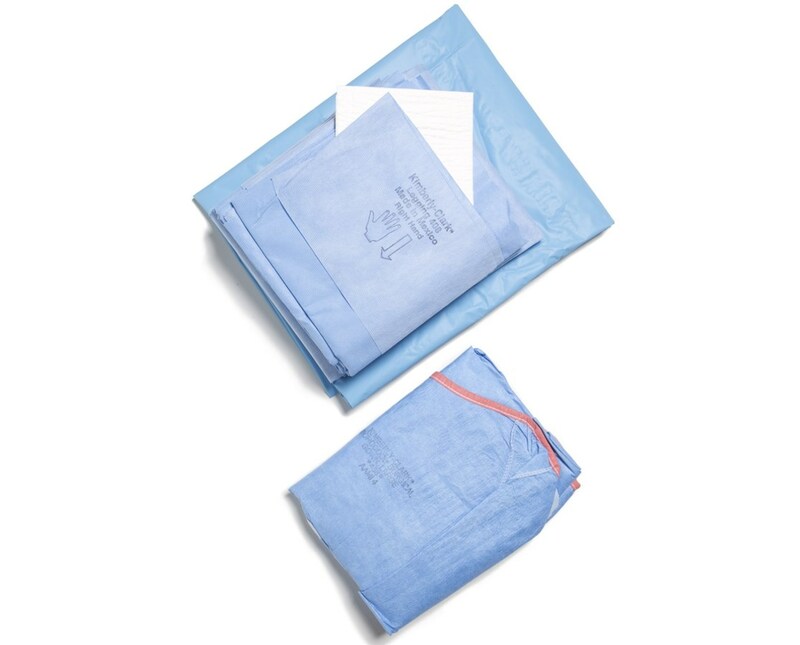 Included in the pack is 1 back table cover, zone-reinforced, 44" x 78", 1 absorbent towel, 15" x 26" ,2 leggings, with 6" cuffs , Cystoscopy “T” drape, 60" x 30" x 84", which features a 3" x 6" perineal fenestration, 9" x 9" screen, CONTROL* fabric reinforcement and tube holders. Back table cover zone-reinforced 44" X 78"
Cystoscopy "T" Drape, 60" X 30" X 84"
2 Leggings, with 6" cuff, 31" X 48"
Absorbent Towel, 15" X 22"